Hong Kong-based Metrojet Limited, a business aviation service provider with presence throughout Asia Pacific, is pleased to announce that its Maintenance, Repair and Overhaul (MRO) joint venture in The Philippines – Metrojet Engineering Clark – has recently completed a 60-month inspection which also includes the Global Vision Flight Deck version 5 avionics upgrade on a Bombardier Global 5000. This upgrade requires a series of software changes that enable avionics functionality and features, ensuring the overall interoperability between different cockpit systems. Metrojet Engineering Clark has also recently received the approval on its component capability for main wheels and tyres on Bombardier Challenger 300 and 350 aircraft. The Clark facility is a certified Repair Station with approvals from the Philippines CAAP, the United States FAA and the Cayman Islands CAACI. 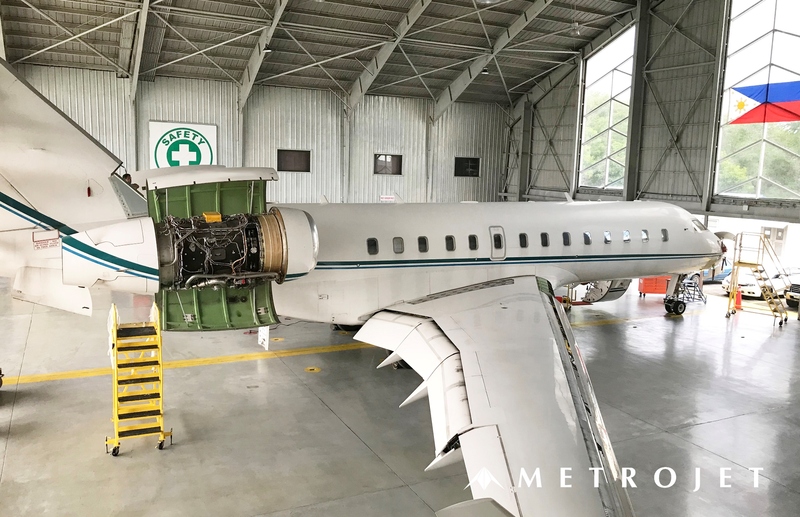 Established in 1995, Metrojet pioneered business aviation services in Hong Kong and remains one of the most renowned safety and customer-focussed business jet operators and maintenance providers in Asia Pacific. The company provides all-inclusive aircraft management, maintenance and aviation consultancy services.